Anyone want to guess what this might be? What started as an innocent “I have an engine lying around” and turned into a neat and time consuming project. What we have here is a wake boarding winch. We thought it would be fun to build one and I happened to have my Cycle Kart engine with no Cycle Kart built. I will now use my cycle kart engine twice as often as I would if it were just in a Cycle Kart in my garage as the engine will swap in and out of both machines. The CVT (driven pulley shown) it a monster with a final drive ratio of 30:1 (low gear) to 4.7:1 (high gear) after the triple axle. Imagine a cycle kart with that sort of range! When this is done I promise to get back to Cycle Kart building with occasional wake boarding sessions. CycleKarting.com turns 1 year old today. June 9th, 2009 I wrote the first blog post about Cycle Karts, shortly after discovering them for myself. Originally I thought I would have finished my Cycle Kart by now, then I thought I would at least have an interesting post or picture for this day. 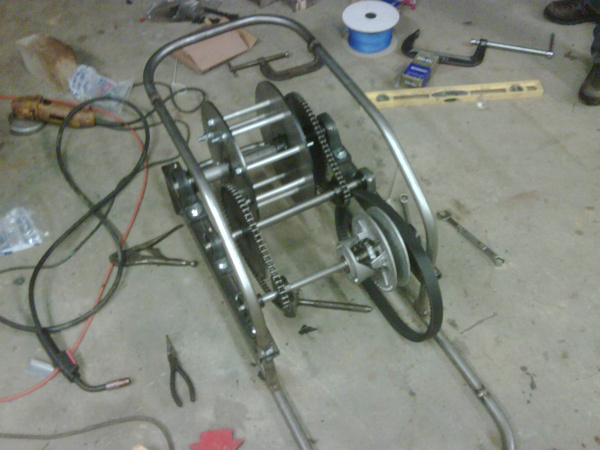 Unfortunately, all I can say is that I’m still working on my kart and I hope to start construction soon. Now that this site is 1 year old, it has been interesting to look back at site traffic (10,000+ page views this year), which is getter better every month, and I have each of you to thank. If any of you are making progress on your Cycle Kart builds and want to send pictures, I would love to post them, simply post a comment to get started. Be safe and happy Cycle Karting! I have posted previously that I am going to try an independent swing arm suspension with a single transverse half elliptical leaf spring. Basically, two swing arms are attached to mini axles that are mounted in flange bearings. They leaf spring will then rest atop the swing arms in shackles. I have yet to weld the swing arms to the axles as I will likely redo the swing arm on the left as it is too far off center. I was going to use through fastened bolts with a steel box in the middle, however after seeing the amount of play in the piece, I decided I will weld the central box (not pictured) to the two frame pieces and use shorter bolts to attach the bearings. I recently posted that I was considering using the v-belt pulleys that were already installed on my axle for the final drive on the Cycle Kart. I got some interesting feedback from the Cycle Karting community on the Yahoo Cycle Kart group. They community seemed to agree that the v-belt would work until I ran the Cycle Kart in dirt or water. I suppose I could try to encase the belt and pulley, but inevitably water or dust would get in and reduce performance. That said, I have begun preparing to attach a 60 tooth sprocket where the pulley is currently. Here it is. This axle is the rear axle to a commercial zero-radius turn lawn mower. The axle features a heavy duty differential, dual drum brakes and v-belt drive pulleys. The issues with this axle start stacking up, but I am still going to give it a shot. 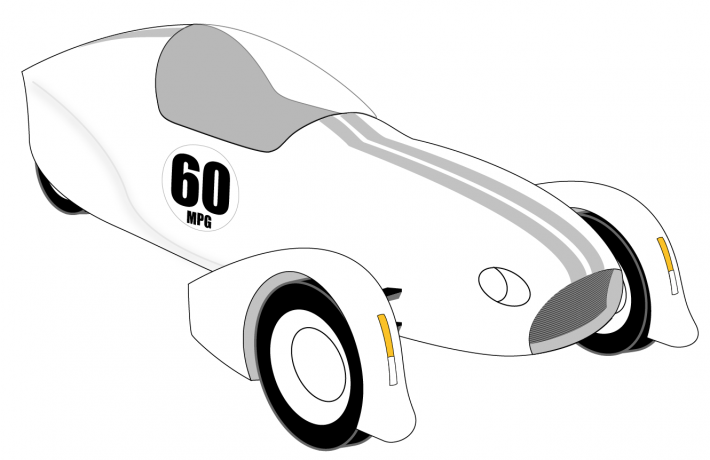 First, it is too short so I will be adding a larger hub to each of the rear wheels to achieve my overall width. Second, I am actually going to try using the v-belt pulleys. 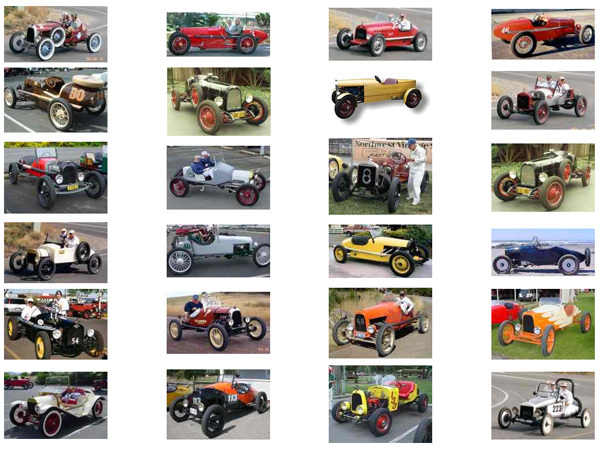 I wont nearly have the range of a sprocket set up, but with the extra power in the 8hp, I hope to break even. In any capacity, it will be fun to try. 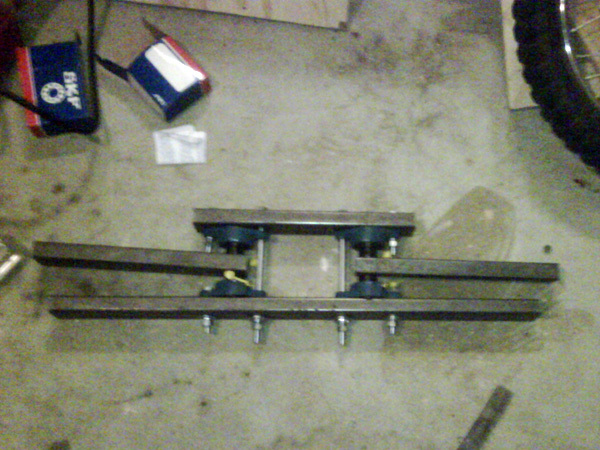 Third, I will be using the lawn mower mounting brackets to hang the axle. They are bearing action, however this will set the attachment toward the center of the Cycle Kart. I suspect it will eventually twist or rock and will require a proper installation. In any capacity, I actually purchased the entire unit for less than the old Northern Tool differential axles, so even if I strip everything off and build a proper axle off of the differential, it will pay off. I also think all the new twists will be a nice challenge. I need to start using a better camera and better lighting, but here is the latest. I was designing on the short “cute” side and have apparently done a good job at it because it feels tiny. The pitch of the dash insert will likely change, but the position from the front is accurate. The axle will also mount more toward the rear to avoid a huge rear end. I’ll discuss the axle more in the next post. I happened on Project Streetliner, a scooter based commuter vehicle, that I thought was worth mentioning here since it is “sorta” like a Cycle Kart. It is home-built, so in that capacity, it embraces the “figure it out and have fun doing it” mentality of Cycle Karting. The front end would also look nice on a Cycle Kart, especially if someone would tackle a wishbone suspension like the Streetliner, while maintaining a vintage look. I am using an independent swing arm suspension, but utilizing a single transverse half elliptical leaf spring, so it will be in front of the body. UPDATED I switched the video to a slightly longer video Don posted. I have posted pictures of Don’s build progress earlier and now he has video of his first ride! Congrats Don, it looks good. It also makes me want to finish mine. I had the opportunity to buy a Comet TAV2 Torq-A-Verter CVT a year ago when I first started dreaming about Cycle Karts, but I didn’t and now they are impossible to find. I have frantically searching for the TAV2 unit or some alternative. Steve suggested Max-Torque. They have 3/4″ diameter units in stock, however I need a 1″ diameter for my application since I’m using a 8 HP Tecumseh engine. Some places anticipate stocking knock-off TAV2 units in the coming months, but I doubt the quality or the likelihood of delivery. I looked at some other options, like CVT units from 250cc scooters, but once more faced the 1″ diameter issue. I found CVTech-IBC, in Canada, and it looks like they are the best bet. They offer many diameters, including the 1″. They also have twice the gear ration range of the TAV2, but they cost twice as much as well. Has anyone had much success with only a centrifugal clutch? The official CycleKarts.com specs use a torque converter, so I’m hesitant to try it without one. You are currently browsing the archives for the Cycle Karting category.